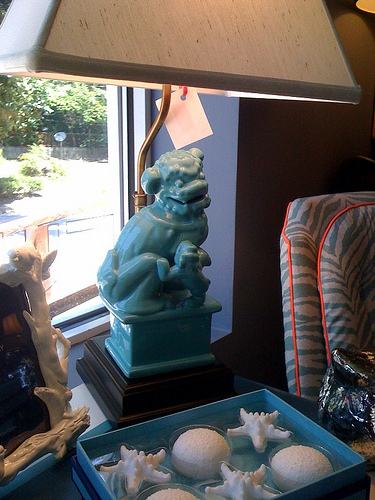 turquoise foo dog lamps. i finally have a pair back in stock, and they are just so sassy. i like how there’s a little foo crawling up momma foo. 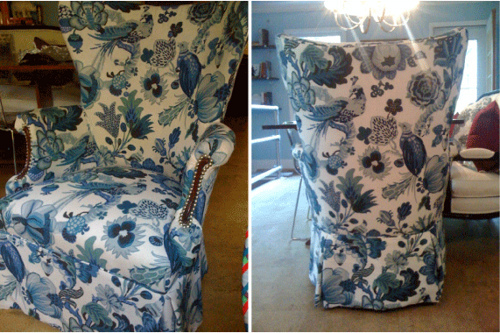 my new old wingchairs. 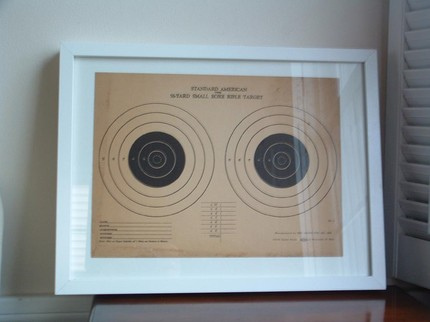 when i found them at an auction, i was hoping they would work for a client, but ended up being too wide for her table. so they found a home at my dining room table. i love the overstated wing. roberta roller rabbit fabrics. they’re so bright and happy i could eat them. 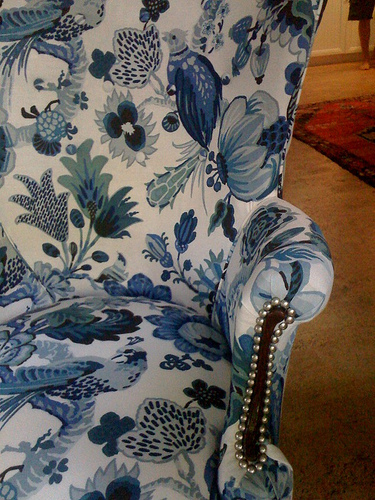 i’ve just never seen any other home textiles quite so lovely and affordable! quilts, pillows, beach bags, napkins, nesting boxes …. yum. 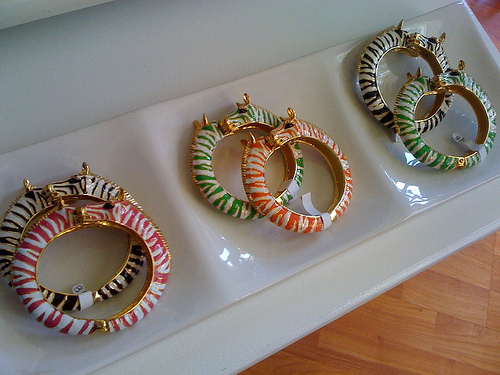 zebra bracelets. i wear one just about every day and always get compliments. pink is my fave, but black works with everything.